Chandigarh, April 15: Mahendra Singh Dhoni's ability to control match situations by slowing down the pace of T20 games is something that everyone should learn, feels Rajasthan Royals' New Zealand leg-spinner Ish Sodhi. Twenty20 cricket has its own speed and Dhoni blessed with a superb cricket brain has shown how trying tweak the pace of the proceedings helps. "I think mental clarity on one's role is very important. The ability to slow the game right down and that's something that I am starting to really respect and understand watching MS Dhoni when he plays, looks like he really slows the game down, understands exactly what he needs to do and then goes out and tries to achieve that," Sodhi told PTI during an interview. RR vs KXIP, IPL 2019 Match 32 Preview: Rajasthan Royals Seek Revenge Against Kings XI Punjab. He said that it may not be possible to win every game in that fashion but it does help in at least setting it up for the rest. "Players may not win you every single game like that but they will come quite close and put up consistent performances." 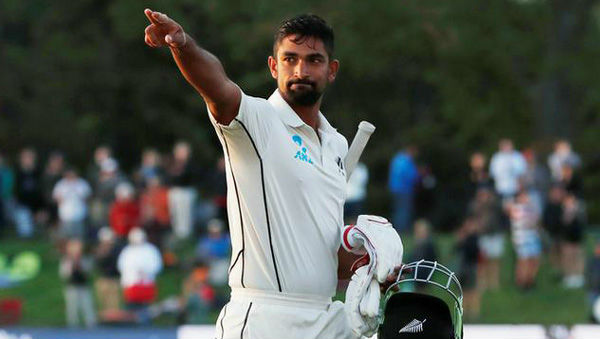 Consistency separates good from the best and it comes with a clear mindset, feels Sodhi, who has played 17 Tests, 30 ODIs and 33 T20 Internationals for New Zealand. "I suppose consistency comes from a really clear mindset. That's what we are striving for as cricketers, it's nice to contribute once in a while, that's amazing to contribute to wins. But contributing over a long period of time, I think is what separates the class players from the world class players." Despite a combined 123 international wickets across three formats, Sodhi feels that he is inexperienced. "I being 26 years old, I have played a lot of cricket, but I am still a reasonably inexperienced person and so I am looking to keep growing my game. I want to put up good performances for Rajasthan Royals, put performances for New Zealand over long periods of time. I just don't want to do it tomorrow or the day after, but I want to do it for a long period," said Sodhi. Kings XI Punjab vs Rajasthan Royals Live Cricket Score 32th T20 Match. With World Cup coming ahead, Sodhi when asked how challenging it is for players to manage and remain match-fit, Sodhi said training hard is the key. “I have been working with some very good coaches who help me tremendously over the past couple of years as well. I am just making most of my time, I am trying to keep improving and get better in these conditions, see what I can use in these conditions here that will be helpful for me in UK as well.